These daily readings are for anyone who is seeking to fellowship with the Holy Spirit. Delve into the words that the Holy Spirit has given to Jennifer LeClaire during times of worship, prayer, and simply everyday living. End your day by growing in your prayer life, gaining a deeper understanding of God’s nature, and developing a more intimate relationship with the Holy Spirit. 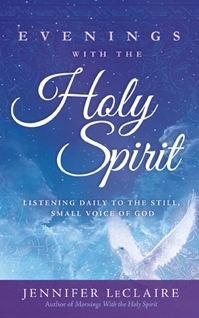 This devotional is based on the book Evenings with the Holy Spirit by Jennifer LeClaire.